This article is about the character. 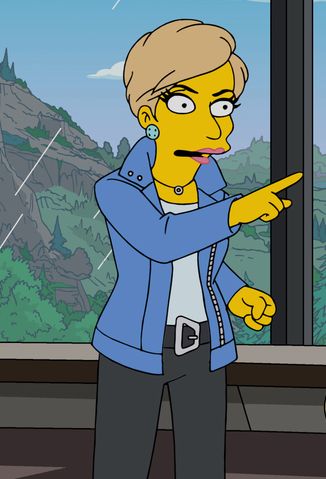 For the guest star, see Suze Orman. Suze Orman is a financial educator. She was one of the educators who Bourbon Verlander brought in to teach his army of robots. She told Homer that he was not allowed to buy a Mercedes until he paid off his credit cards. She was interested in teaching robots. Orman was then surprised when she found out the robots were applying for student loans to give Verlander taxpayer money. Later, she tells Marge that she needs to kill Homer for the insurance as she can't fix "stupid". Modified on April 3, 2017, at 08:29.